The OS5 driver includes Tack Tracker which automatically save tacks as they are performed. These tacks can be used to improve your calibrations and tacking skills. See Tack Score. The Length (min) control sets the minimum time a tack must last in order to be considered valid. For instance, a length of 3 minutes means that the tack must have at least 1.5 minute of stable boatspeed and true wind angle before and after the tack in order to be considered. The Enabled checkbox controls whether tacks are captured. The Save all tacks checkbox controls whether ‘bad tacks’ are saved anyway (e.g. such tacks might still be valuable for current wiggle). 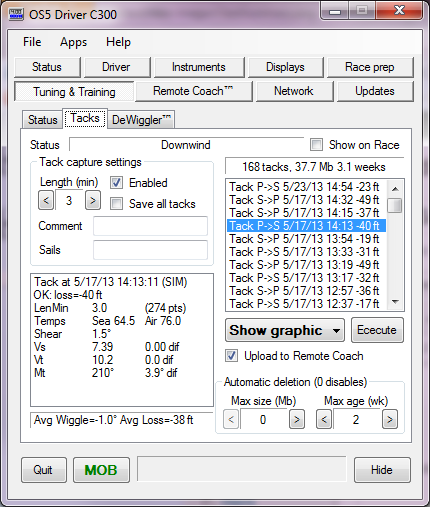 The Show on Race checkbox enables sending the tack capture status to Race to display in its banner. When tack training, this helps you know when to tack and how well you did. The Function dropbox and Execute button selects functions to perform on your saved tacks. The Automatic deletion controls set when tacks will be automatically deleted. You will be prompted before any actual deletion takes place. Calibrations for wind and current. Tacking provides a natural constraint on what the boat does. Turns are about 90°, the time span is limited and everybody is working to get maximum performance. This therefore provides the ideal compact data set for determining both wind and current calibration issues. Optimizing your tacking skills. Learning how to tack is like sports training. Lots of things are going on, they happen fast, and good tack performance needs to be pushed down into instinct. The problem with tack training before OS5 was that there was no score to measure by. Now there is, with DLw (distance lost to weather). With the data contained in your captured tacks, helmsmanship and sail trim will be optimized to lose the least distance to weather. Every time you tack, OS5 can show you your tack score (distance lost to weather). Immediate feedback of tack scores and handling metrics (e.g. turn rate, how much footing on the new tack, etc.). These are needed while the crew has the tack fresh in teir minds. The driver provides numerics and graphic plots of these items which can be forwarded to OS5Race for all to see. Analysis of groups of tacks via spreadsheet or reports from Ockam. This is the bottom line metric for a tack. It is the distance lost in the direction of the true wind due to a combination of wider true wind angle and reduction in boatspeed on the new board.. The amount the wind is twisted right or left. Shear changes performance of one board compared to the other, and is therefore an important metric for deciding whether to throw out t tack, and is the only true measure of actual wind twist. 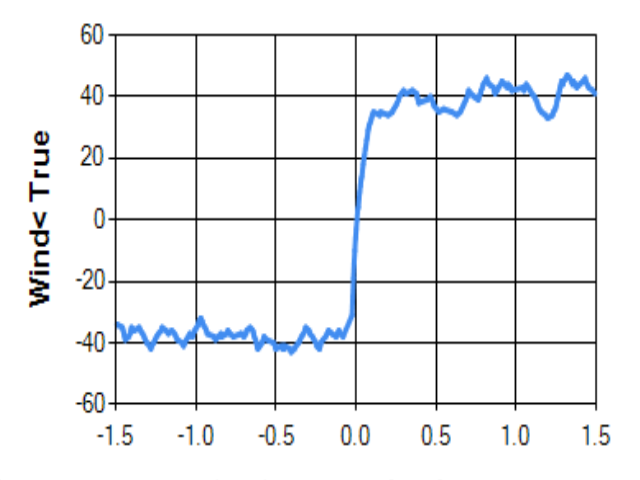 The average wind speed and direction during the tack. Changes are also recorded. Target speed and angle for the tack wind conditions. Boatspeed on the two boards, and lowest boatspeed during and when it happened. Highest true wind angle seen after the tack begins, and when it happened. Heel angle on the two boards, and maximum heel angle during. Rudder angle on the two boards, and the maximum angle during. Select a tack, select ‘Show graphic’ and Execute. A window will pop up showing wind, boatspeed, true wind angle, current and rudder stripcharts. These graphics can be forwarded to Race and Vysion for the crew to view. This is the ‘instant feedback’ tool for training. Select ‘Export list’ and Execute. 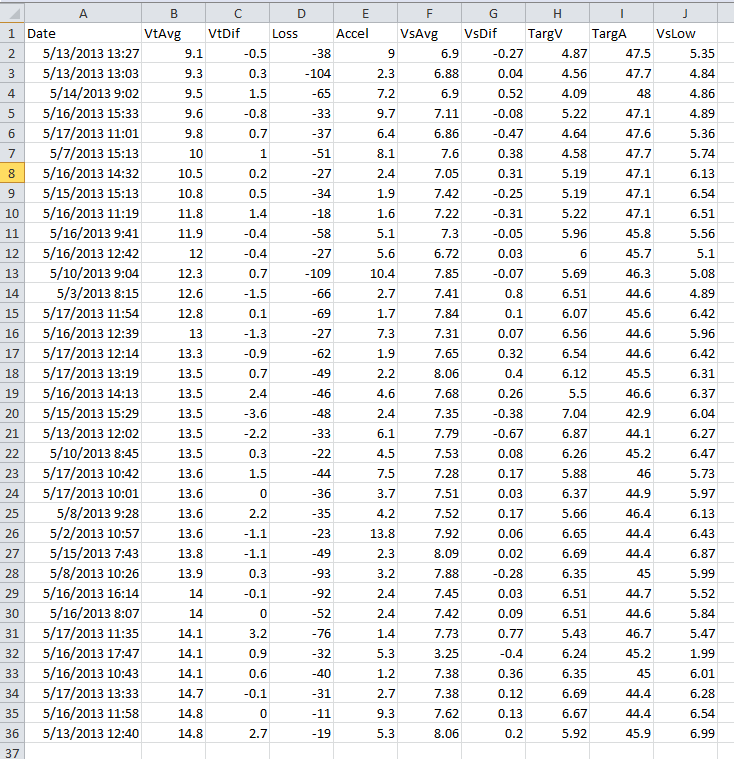 A spreadsheet of your tack’s analysis data will be created and opened in Excel. For data geeks, this is the analysis tool for cals and weather.